What Do The New Snapchat Emojis And Numbers Mean? A recent Snapchat update has added a new Snapchat emoji and number feature to the popular photo sharing app. 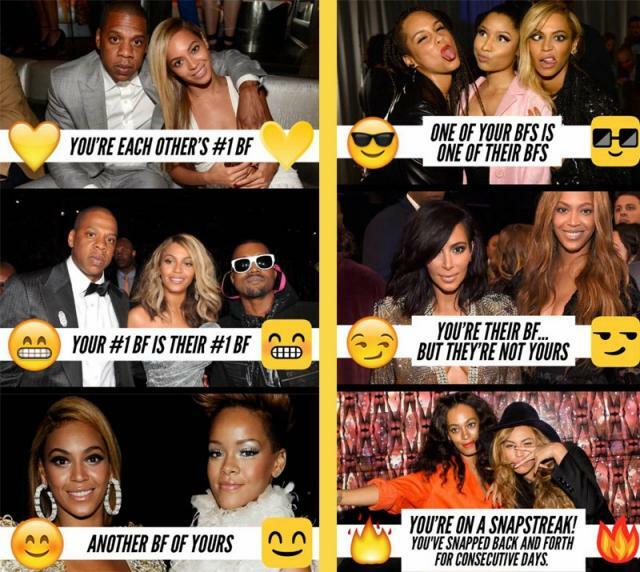 Snapchat has ditched its hated ‘Best Friends’ feature in favor of the new Snapchat friend emojis. The old Snapchat ‘Best Friend’ feature displayed publicly who you snapped the most, leading to potential complications in your life. Unlike the ‘Best Friend’ feature, Snapchat friend emojis are visible only to you. Snapchat emojis and numbers are complicated and difficult to understand, unless, you know what they mean. Explained below is the meaning of the different Snapchat emojis you find next to your Snapchat contacts. Also Check Out: How To Send/Transfer Money To Friends Or Family On Snapchat? 💛 – Yellow Heart Emoji (Gold Heart Emoji / #1 BF Snapchat Emoji) – You are #1 best friends with each other– You send this person the most snaps and this person sends you the most snaps. 😬 – Grimacing Face Emoji (Grimace Emoji / Snapchat Mutual #1 Best Friend Emoji) – Your #1 best friend is their #1 best friend – You and this person send the most snaps to the same person. 😊 – Smiling Face Emoji (Smile Emoji / Smiley Face Emoji) – One of your best friends – You send this person a lot of snaps, but, this person is not your #1 BF. 😎 – Face With Sunglasses Emoji (Sunglasses Emoji / Snapchat Mutual Best Friends Emoji) – You have a mutual best friend – You and this person send a lot of snaps to the same person. 😏 – Smirking Face Emoji (Flirting Emoji / Sexual Face Emoji / Smug Face Emoji) – You are their best friend, but, they are not your best friend – This person sends you a lot of snaps, but, you don’t send this person many snaps. 🔥 – Fire Emoji (Flame Emoji / Snapstreak Emoji) – You two are on a Snapstreak – You send snaps to this person every day and this person sends snaps to you everyday. The number beside this emoji indicates the number of consecutive days you both have been snapping back and forth. This is what the new Snapchat emojis and numbers mean. Snapchat has announced this new feature update through its media hub, ‘Discover’. Snapchat emojis and numbers are a great way of knowing your level of friendship with a person at a glance. Along with this feature, Snapchat has also added a new feature called ‘Needs Love’ that shows you the people you used to snap a lot but haven’t in a while. Next post: How To Create Custom Snapchat Community Geofilters? Previous post: How To Send/Transfer Money To Friends/Family On Snapchat?